UPSRTC Kanpur Vacancy 2018 we are inviting you to check UPSRTC 265 Samvida Conductor Vacancy 2018. To Apply Online For UPSRTC Kanpur Nagar Conductor Recruitment 2018 or UPSRTC Kanpur Dehat Recruitment 2018 you may need to fill up to 30th October 2018. Interested candidates who are eligible to applying in Kanpur Samvida Conductor Recruitment 2018 you may drag below notification. UPSRTC Jhansi Bharti 2018 Hey Guys you may check now for UPSRTC Jhansi 153 Samvida Conductor Recruitment 2018. After 30th October you are invited to check UPSRTC Jhansi Bus Conductor Merit List 2018-19. For More details on filling process Jhansi Bus Conductor Recruitment 2018 you may subscribe us before last date or up to joining letter. UPSRTC Aligarh Bharti 2018 Hello Friends You can apply Samvida Conductor 92 Post in Aligarh District. 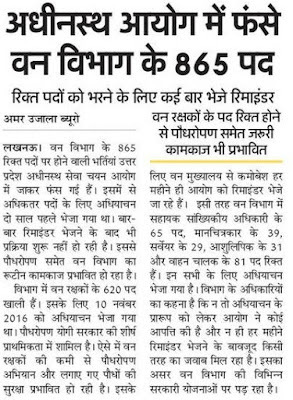 Total Number of Jobs are 92 in Aligarh Bus Conductor Recruitment 2018. Interested candidates may apply by the date of 24 October 2018. Some Important information like age limit, merit list, cut off marks and how to Aligarh Bus Conductor Latest News Kindly check below notification. Haryana Roadways Driver Conductor Admit Card 2018 For Written exam Date Exam & Interview Haryana Roadways HSSC Driver Conductor Admit Card 2018. UP Forest Guard Vacancy 2018 Upcoming 2750 Van Vibhag Bharti, Vanrakshak, Forest Ranger Apply Online, UP Forest Guard Vacancy Latest News. 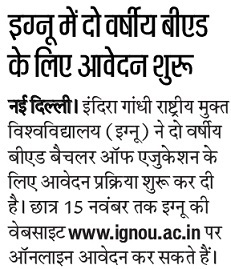 IGNOU B.Ed Admission 2018 Apply Online For IGNOU 2 Year b.ed Course Online Form & Entrance Exam IGNOU B.Ed Admission Form 2018.